Today (May 26, 2017): May luxury travel news. Singapore Airlines A380s to become private VIP jets? Improved air pressure and enhanced in-flight humidity levels for greater travel comfort. Mandarin Oriental will take over management of the Grand Hyatt Santiago from August 2017, and rename it Hotel Santiago. Following an extensive guestroom and public area renovation, the first stage of which is scheduled to complete in August 2018, the hotel will be rebranded Mandarin Oriental, Santiago. This will be the Group’s first property in South America. 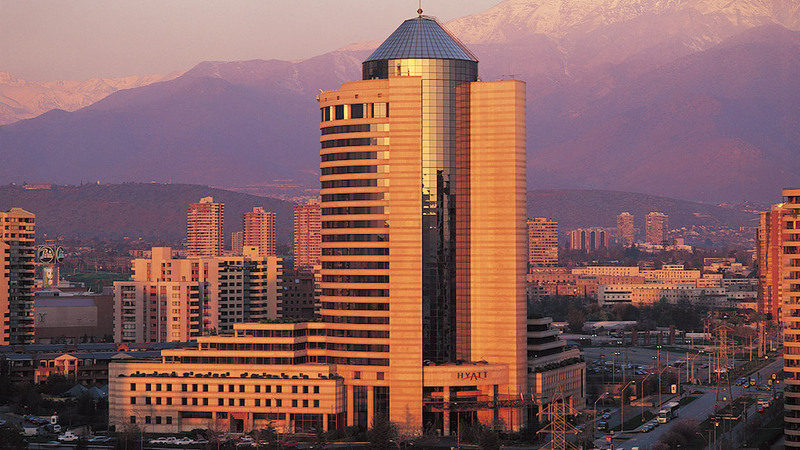 Hotel Santiago is located in the heart of the city’s most important commerce and leisure district, known as Las Condes. The property comprises 310 guestrooms including 23 suites with commanding views of the city and the Andes. Its 25,000-square meter grounds contain a large free-form outdoor pool and landscaped gardens which provide a resort environment for guests. The hotel currently features five restaurants and bars as well as extensive banqueting and meeting space. Additional facilities include a spa and fitness centre. The new luxury accommodation, public areas and landscaped gardens will be redesigned to reflect local culture, with features inspired by Mandarin Oriental’s Asian heritage. Some more exciting news from Mandarin Oriental. The luxury hotel company has announced that it will manage a second luxury hotel and branded residences in Dubai which is targeted to open in late 2020. The hotel, located in downtown Dubai, will complement Mandarin Oriental Jumeirah Beach, Dubai, the group’s previously announced urban resort which is currently under construction on the beachfront and due to open in the fourth quarter of 2018. The hotel will be the anchor of a 63-storey, mixed-use building, to be known as ‘Wasl tower’, located on Sheikh Zayed Road. The property will have direct access to the area’s business and leisure attractions, including Dubai Opera, Burj Park and Dubai Mall. 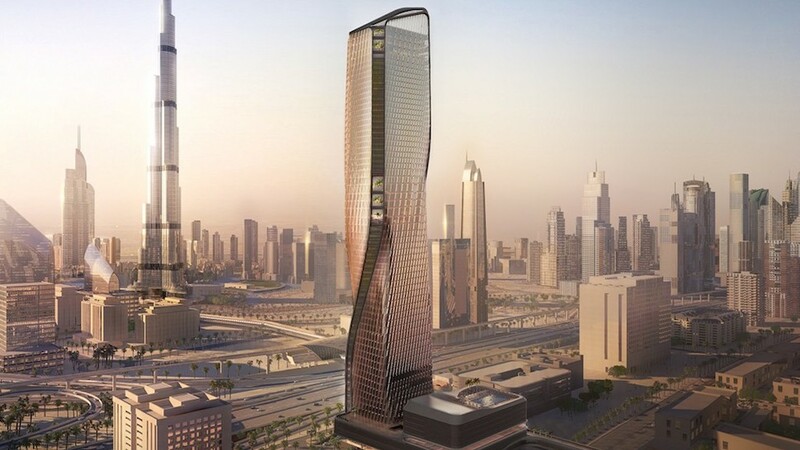 The downtown Mandarin Oriental hotel will feature 257 spacious and contemporary guestrooms, suites and serviced apartments, which will be located on floors 16 to 38 of the tower, providing outstanding views over downtown Dubai and the world’s tallest building, the Burj Khalifa. According to UK’s Business Traveller, Richard Branson hinted this month that he might launch a new North American airline after selling his old one to Alaska Airlines. 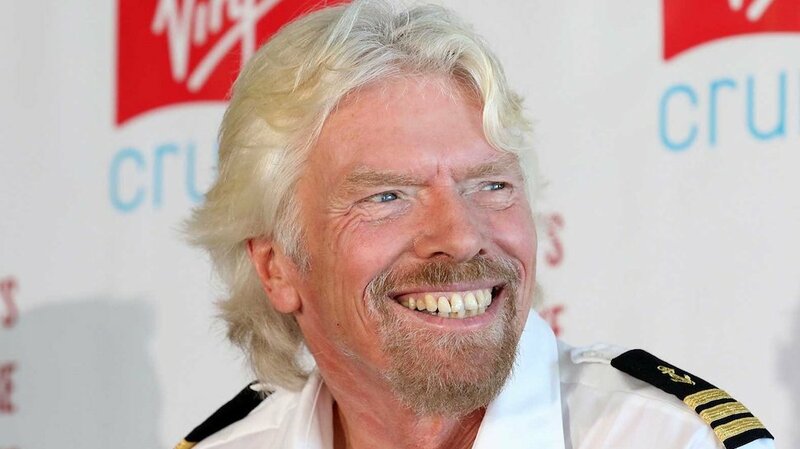 Branson, who sold Virgin America to Alaska Airlines in December 2017 for $2.6 billion, has publicly expressed his displeasure at Alaska Airlines’ recent announcement that it would retire the Virgin brand in 2019. Bloomberg Technology reported May 19, 2017 that the Virgin Atlantic CEO noted that Alaska Airlines must continue to pay royalties on the Virgin America name “unless we decide to start another airline. So, we’ll see what happens.” Asked directly whether he planned to launch a successor to Virgin America in the US, Branson replied coyly, “Watch this space.” Alaska Airlines is already contesting the royalty payments for Virgin America, saying it should not have to pay for a name the company isn’t using. Branson contends that the Seattle-based airline is obligated to pay royalties until 2040; the sales agreement calls for Alaska Airlines to pay Branson a licensing fee equal to 0.7 per cent of revenue. Expected to open its doors in 2021, the Ritz-Carlton, Zanzibar will be an all-suite and villa resort with 90 luxuriously appointed spaces including over water villas, each with its own private pool and a distinct contemporary design inspired by the island’s tropical tableau and unique culture. It will boast of a distinctive dining scene with four themed restaurants and bars allowing The Ritz-Carlton chefs to showcase their culinary versatility and engage with guests through curated and immersive dining experiences. Leisure facilities will include an outdoor pool, a Health Club, a Beach Club and a Kids Club. Guests will have access to a tranquil Spa with eight private Spa Suites offering individual and couple treatments as well as outdoor treatments. An intimate meeting facility will complement the resort facilities for personalized and bespoke events. 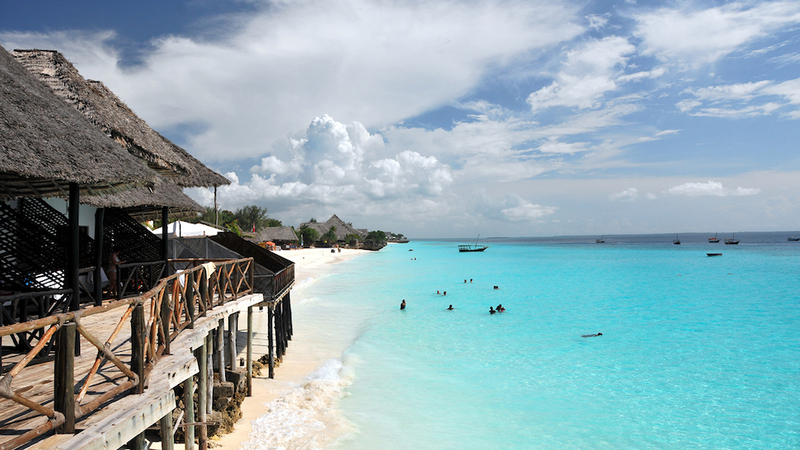 Located within a convenient 45-minute drive from Zanzibar International Airport, The Ritz-Carlton, Zanzibar will provide easy access to the fabled and magnificent UNESCO World Heritage Site, Stone Town, often referred to as the cultural heart of Zanzibar. 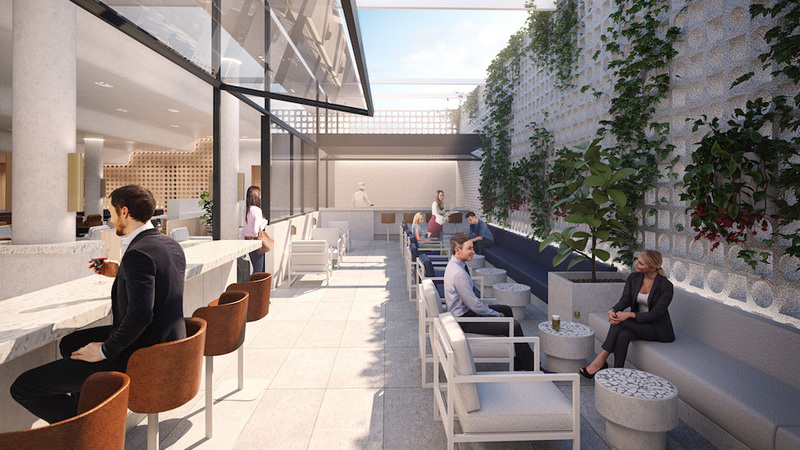 Qantas customers are set to benefit from smoother connections and improved facilities at Perth Airport with construction to begin on a new integrated domestic and international passenger hub. The new international wing will feature a large outdoor deck with alfresco seating, a streamlined immigration and customs area to enable a faster transfer experience, additional food and beverage outlets and a new Duty Free store. All of the airline’s domestic flights, as well as services to Singapore, Auckland and London, will operate from the new facility. “Perth will become the western hub for our international services to the United Kingdom and potentially other European destinations in the future,” said Qantas Group CEO Alan Joyce. “Combining all of our operations under one roof means customers can transfer from domestic to international services without changing terminals. The new design allows for an outdoor space and natural sunlight, which is something we know our customers will value ahead of a long haul flight”. Qantas will also construct a new International Transit Lounge that will provide a space for customers to relax and refresh between flights. The transit lounge will offer more than a dozen shower suites, space to refresh and a wellness facility. The outdoor patio provides fresh air and natural light, with a barbeque grill and Neil Perry designed Australian-style BBQ menu. 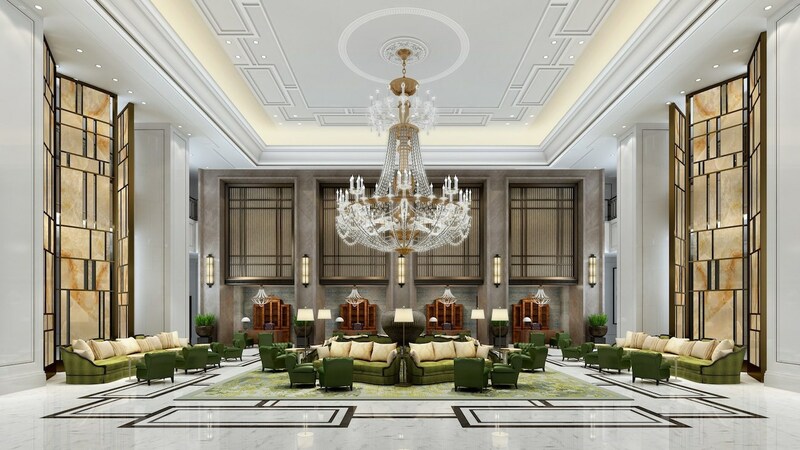 St. Regis Hotels & Resorts opened its Shanghai property, marking the renowned luxury brand’s ninth hotel in the Greater China region. The hotel offers an exceptional experience that features a timeless blend of innovation and tradition, including the signature St. Regis butler service, unique culinary venues, and elegant design. Situated on West Beijing Road in the heart of the Jingan District, Shanghai’s cultural and business center, the St. Regis Shanghai Jinganprovides guests convenient access to explore Shanghai’s storied past and bustling present. The hotel’s elegant interiors create an oasis of calm by combining traditional English and Chinese palatial styles with elements of Chinese art and culture, such as calligraphy and handcrafted gold foil paintings. For added visual interest, five glass sculptures by world-renowned glass sculptor Dale Chihuly will be featured in the hotel’s public space. The St. Regis Shanghai Jingan’s 436 exquisitely styled guest rooms, including 66 suites, and 55 residences boast sweeping city views, allowing guests to experience Shanghai’s energy from the comfort of their own space. The three-bedroom, three-story Presidential Suite is located on the top of the building, featuring a glass ceiling, vast living room, outdoor terraces with panoramic skyline views, full kitchen, dining room, and lounge area. Ryanair announced a new flight partnership with Air Europa, which will allow its 130 million customers to book Air Europa long haul flights on the Ryanair.com website. Customers can now browse and book Air Europa flights on 20 long haul routes from Madrid to 16 countries in North, Central and South America, including Argentina, Brazil, Cuba, Mexico and the United States. This new Air Europa partnership is the latest initiative delivered under Year 4 of Ryanair’s “Always Getting Better” customer experience program, and follows the launch of Ryanair’s connecting flight service via Rome Fiumicino. The second phase of this Air Europa partnership will be launched later this year and will allow Ryanair customers to connect onto Air Europa long haul flights through Madrid. 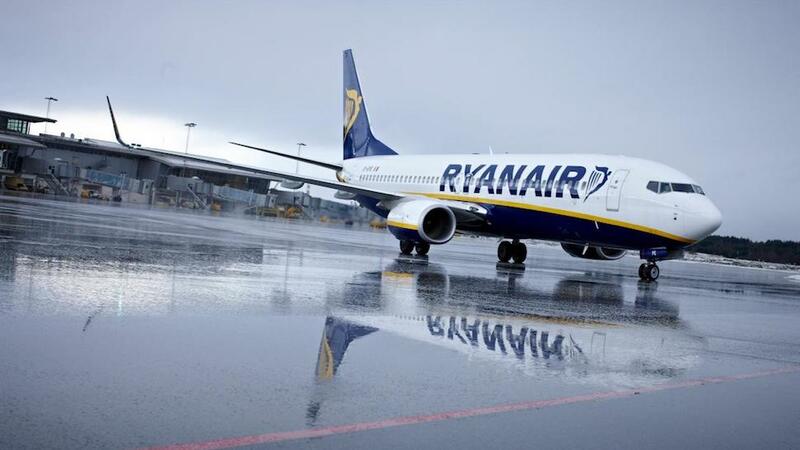 Ryanair is continuing its discussions with a number of other long haul airlines on potential feed and connecting flight partnerships. Globalia Group CEO, Javier Hidalgo said: “This partnership with Ryanair gives us great satisfaction, and it puts us at the forefront of business and allows us to strengthen our competitiveness. With this agreement Air Europa doubles its connectivity with the European continent adding 53 European cities”. Once the scene of elegant garden parties hosted by the British Ambassador to the Kingdom of Thailand, the prime corner plot in the heart of Bangkok is now home to the new Park Hyatt Bangkok hotel. The interior design brief – to create a sophisticated private residence and sanctuary reflecting Thailand’s rich culture – was eloquently executed by New York-based Yabu Pushelberg, who also served as the designers of the brand’s flagship Park Hyatt New York hotel. This is the award-winning design duo’s first hotel in Bangkok, and they have created a calm and stylish environment unfolding through a series of unique and intimate spaces. New York-based AvroKO designed the three uppermost floors of the hotel’s Penthouse Grill & Bar. 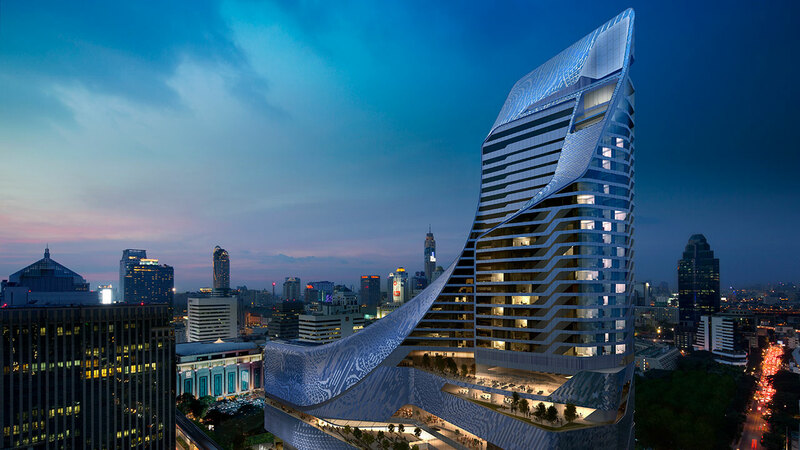 The hotel and an adjacent luxury shopping mall are bound together by a continual looped form merging plinth and tower. The twisted coil forms a three-dimensional figure of eight, a lucky number in Chinese culture. Drawing on motifs and patterns found in traditional Thai architecture, the eye-catching façade is clad in extruded aluminium tiles, creating a shimmering moiré-like pattern. The design comes together with spectacular views of the bustling, energetic city from numerous outdoor terraces. 10. Singapore Airlines A380s to become private VIP jets? According to Australian Business Traveller, Singapore Airlines’ oldest Airbus A380s could be turned into the world’s newest and arguably the ultimate private aircraft: a double-decker jet for the VIP set. The Singaporean flag-carrier will retire its first five A380s from October this year, to be replaced by five factory-fresh superjumbos sporting all-new first class suites (on the upper deck, this time around) plus new business class seats. Four of those pre-loved A380s are now apparently earmarked for resale as private jets aimed at the ‘head of state’ and VVIP market, with interiors to suit. 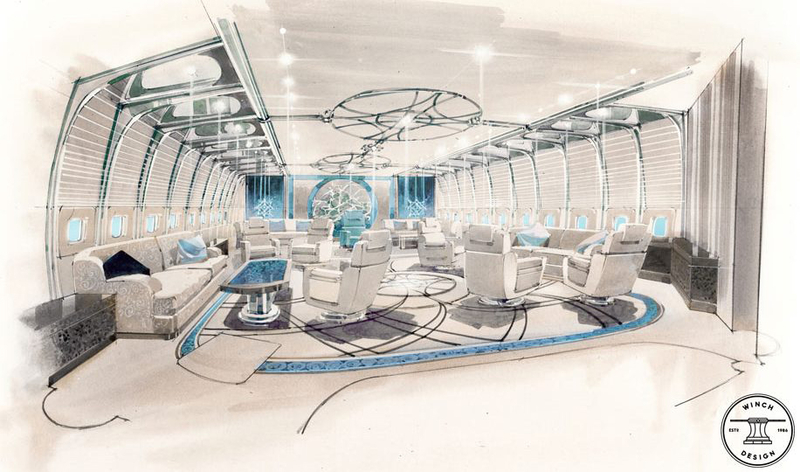 Fashioned by British studio Winch Design, options include a spacious conversion of both decks or just the upper deck (keeping standard airline seating on the lower deck) replete with conference rooms, communal lounges, dining rooms and a master bedroom with adjoining private office and en suite. Geneva-based aircraft reseller Sparfell & Partners is listing four used Airbus A380s and while the company has declined to say where they’re from, the specifications and production timeline points to these as being the earliest members of Singapore Airlines’ A380 fleet. Airbus has previously toyed with a corporate jet version of the A380 based on ex-lease superjumbos, but only one contract was inked – that by Prince Alwaleed of Saudi Arabia in 2007 – who later reneged on the deal, perhaps being happy enough with his private Boeing 747-400.